weeSpring parents gush (and gush) about the UPPAbaby VISTA. One mom called it the “Land Rover of strollers.” Another said she’d “buy it over and over again.” The 2015 model takes the already awesome features to a new level. From the cozy bassinet to the toddler seat and ride-along skateboard, this convertible stroller will grow with your family. (You can actually tote around three kids at once!) The incredibly sturdy wheels tackle any terrain, so even the bumpiest sidewalk won’t get in the way of a good catnap. On sunny days, the enormous, extendable sunshade keeps your kiddo covered and protected. Better yet, the vent at the top of the canopy makes it simple for you to peek in as you walk. The extra large basket holds up to thirty pounds, fitting your massive diaper bag and then some. Sidenote: we’ve used it countless times as an impromptu grocery cart. The VISTA comes with a bassinet (which is great for snoozes at home, too) and a toddler seat. Your tot can ride forwards, backwards, upright, and reclined. As your crew gets bigger, add on the redesigned RumbleSeat, which also is rear-facing, forward-facing and reclines. Their MESA Infant Car Seat attaches directly to the frame, or you can use an adapter to attach another brand. 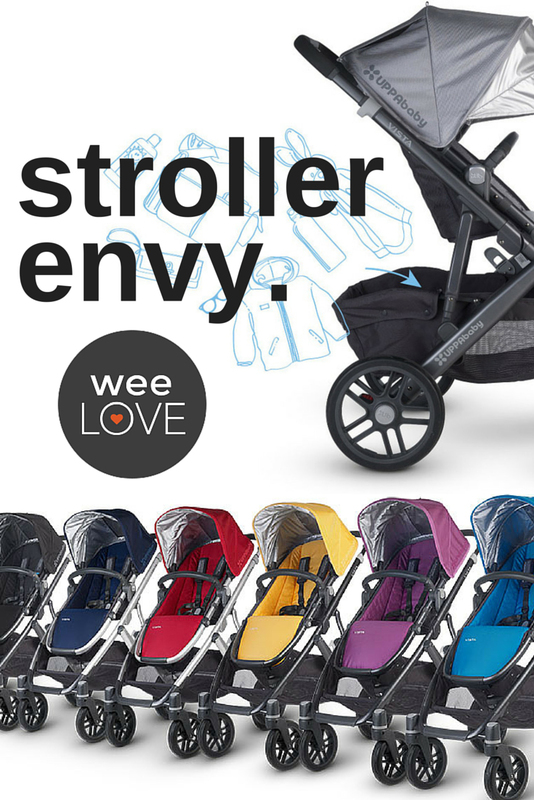 This heavy-duty stroller is easy to use, and really easy to love. Question about the Uppa Vista. My 10 month old outgrew the stroller bassinet at around three months (we had a similar issue with car seats). However, he was technically the appropriate height and weight for the seat, but because so young, not stable enough for the bugaboo seat. It didn’t recline right and didn’t allow him to have his legs straight … just seemed he was too young for it. We then bought a Mountain Buggy Terrain that had a reclining seat and used the Mamas and Papas Armadillo for travel which also reclines for infants. We are now gearing up for baby #2 and I am looking for a stroller that can accommodate a baby and a toddler. The new Vista seems like a great option, but I’m wondering if you know if the seat reclines better than the bugaboo?